Broken Earth Winery, owned by The Forsythe Family (long-time residents of Long Grove), is located in the Mill Pond Shops of Downtown Long Grove. This exciting winery offers wine tastings (two complimentary tastes per visit), wine flights, video gaming and lighter fare to complement your tasting (cheese, charcuterie, etc.). Full dining is available via “order in” from local restaurants and caterers. Alongside wine by the glass, they also feature local craft beers and soft drinks. Private event planning & hosting are also available. 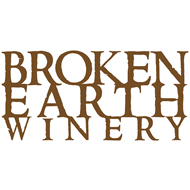 In addition, Broken Earth Winery sells their Award Winning Wines by the bottle or case, along with gift items, gift baskets, gift certificates, and a full selection of wine accessories. The family’s Paso Robles winery produces estate grown and harvested wines from vines first planted in 1973. Long Grove, IL, is home to their first expansion of the winery outside of California. Broken Earth is the largest 100% solar-powered winery in the United States. Broken Earth Winery offers a California Wine Experience in Long Grove, IL. Visit us for wine tastings, craft beers, wine gifts, video gaming & more.